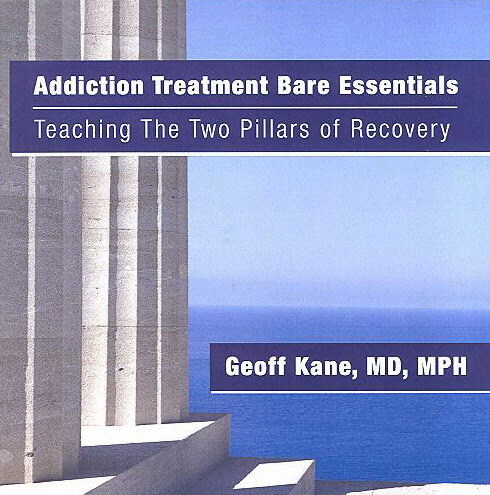 This informative and entertaining DVD features Dr. Geoff Kane, Chief of Addiction Services at the Brattleboro Retreat, whose understanding of what patients need to learn in the course of addiction treatment has been shaped by interviews with thousands of individuals seeking recovery. Dr. Kane blends practical wisdom and neuroscience as he explains why, if their recovery efforts are to go well, people with addiction must move beyond false pride and rationalizations and take responsibility for avoiding addictive substances and the circumstances of their use and for honest self-disclosure in mutually respectful interpersonal relationships. The necessity for these two actions is so relevant and unchanging that he has come to call them The Two Pillars of Recovery® and states them as easy to remember exhortations: Keep Your Distance! Ask for Help! 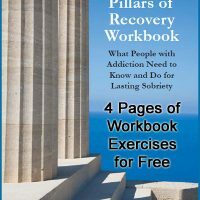 Download 4 pages of workbook exercises for free!